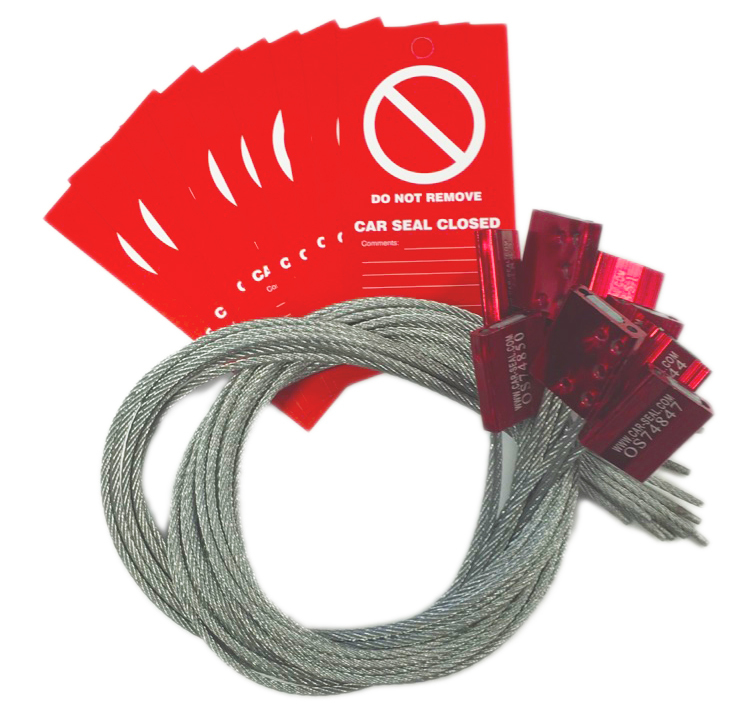 Our Pack of 10 Car Seals & Tags are the ideal solution. 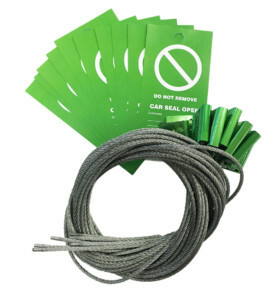 Car Seals from Total Lockout work much like a plastic cable tie and are useful for locking or ‘sealing’ a valve in the open or closed position to prevent unauthorized operation of the valve. When locking or sealing a valve, the cable is passed around the wheel or lever, then around the body of the valve or nearby steel work before pushing the end of the cable into the seal body to lock in place. Valve operation can then only take place by cutting the seal, giving evidence of either tampering, or activity by an authorized worker. Our Car Seals come in standard quantities of 100. The Pack of 10 Car Seals & Tags are ideal for customers who only require a small quantity of seals and are a low-cost solution to trialling the car seals and tags to see if they are suitable for the desired application. 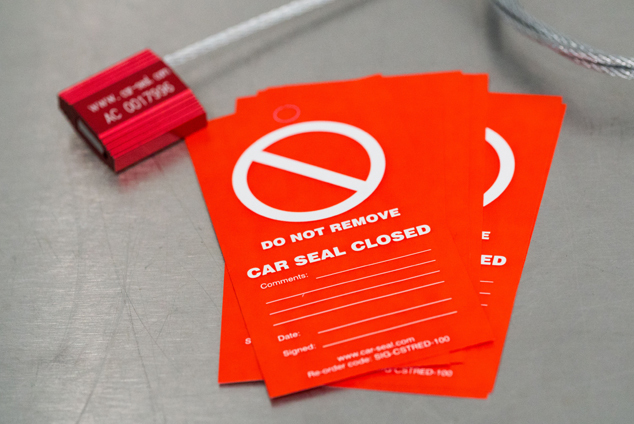 When purchasing our standard quantity Car Seals, tags would need to be purchased separately. Another advantage of the Pack of 10 Seals, is that tags are included as an extra. 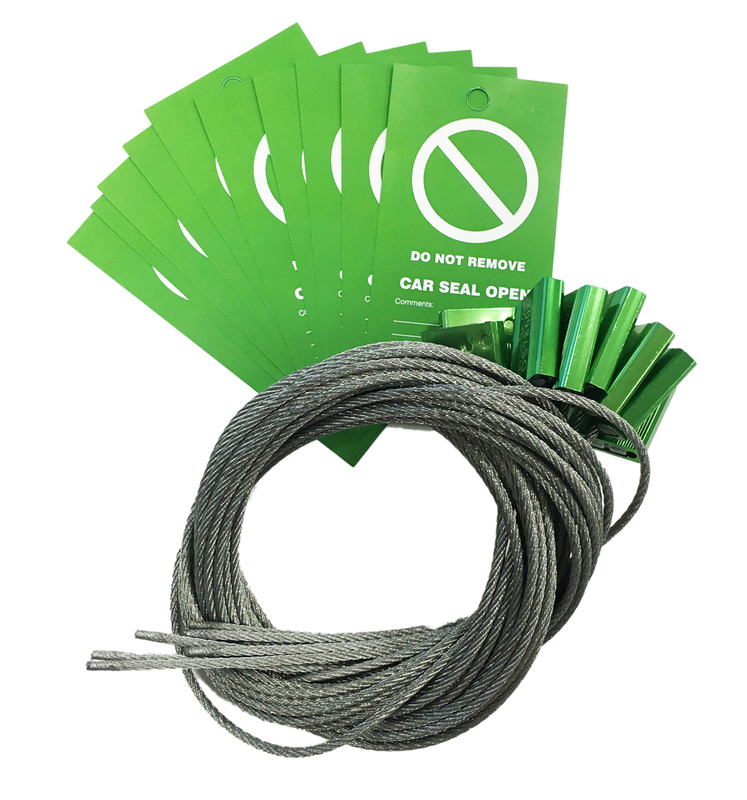 The Pack of 10 Car Seals & Tags are available in either Green or Red and have an aluminium body with galvanised steel, multi-strand cable. The tags further indicate the status of the valve, Green indicates ‘Valve Open’ and Red indicates ‘Valve Closed’. For more information on our Car Seal products, please contact us on +44 (0)1376 325506 / +1 (727) 608 4325 or email sales@totallockout.com. Our new Car Seal video is live! Car Seals arrive at UK Office!